Premium Shampoo and Conditioner is a all in one dog shampoo formulated for those that don’t have time to shampoo and then condition. We use all natural ingredients along with a touch of natural lavender oil to leave your dogs coat soft and shiny. All ingredients are natural, biodegradable, and gentle. This product does not contain anything that would harm your pet or the environment. NO: DEA, parabens, phosphates, synthetic dyes, or perfumes. Leaves a LASTING FRESH SMELL for days after taking a bath! 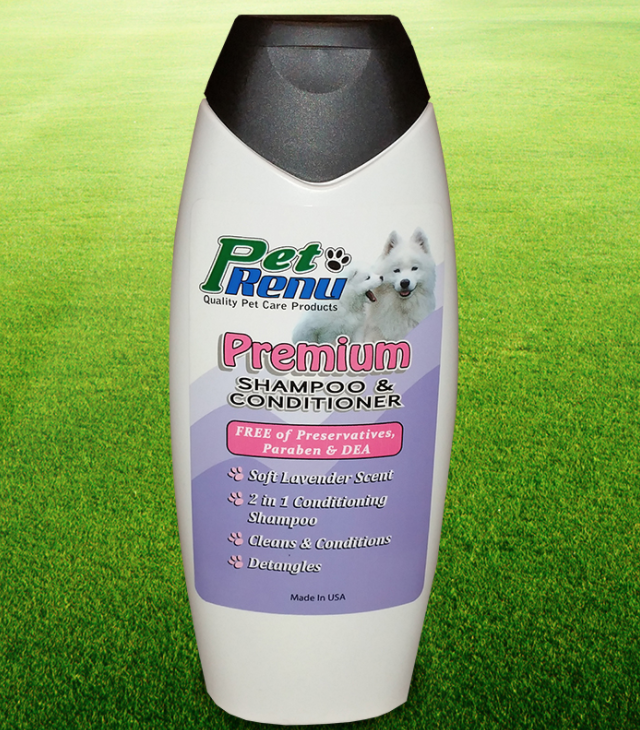 No more dog smell, your dog will not only be clean, but smelling amazingly fresh. Contains NATURAL INGREDIENTS The product is made of natural ingredients in the USA. It is also bio degradable and comes in a recyclable bottle. Good for the planet!